Working in the pet care industry involves knowing much more than how to care for a pet. Clients expect you to know about a pet’s health needs, vaccination schedules and nutritional care. They also expect you to have a good knowledge of the pet care tools, equipment, supplies and toys available in today’s marketplace as well as knowledge of basic canine (or feline) communication so that you are able to recognize a pet’s emotional state. Learn how to identify both appropriate and non-appropriate equipment - From collars and leashes to harnesses and muzzles. Learn about appropriate toys and how to use them both safely and effectively - From giggling and chuckling balls to interactive puzzle toys. Understand the diversity of pet ‘management’ tools that are available - Including crates, gates and indoor toilets! Learn about odor management and clean up supplies. Louise Stapleton-Frappell B.A. (Hons), PCT-A, CTDI, FN-FSG1, CAP3 holds a force-free instructor's award, K9 first aid certification, and animal behavior and welfare and dog emotion and cognition verified certification. She also performed as the Dog Trick instructor at In The Doghouse DTC and is an instructor and assessor for the Pet Dog Ambassador program launched this year by the Pet Professional Guild. Stapleton-Frappell is a passionate advocate of force-free training, promoting a positive image of the "bully" breeds and advocating against Breed Specific Legislation in favor of breed neutral laws and education about dog bite safety and prevention. She is proud "mum" to Jambo - Staffy bull terrier trick dog: the first Staffordshire bull terrier to achieve the title of Trick Dog Champion and has her own YouTube channel where she shares "how to teach" videos and fun trick videos. Jambo has appeared on Talent Hounds in Canada and was also featured as a Victoria Stilwell Positively Success Story. Stapleton-Frappell blogs for the Pet Professional Guild and is a regular contributor to BARKS from the Guild. 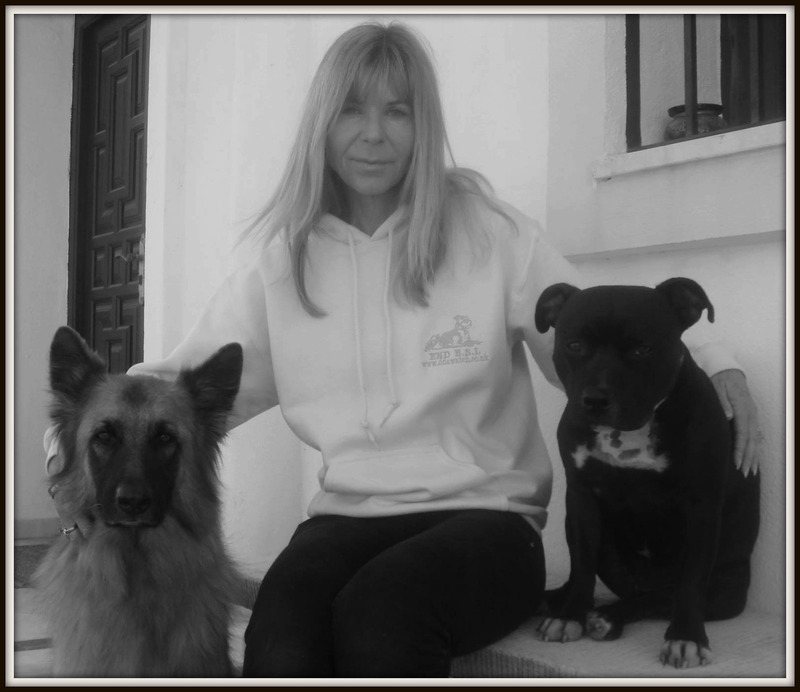 She is a steering committee member of the Pet Professional Guild and membership manager of the Pet Professional Guild British Isles; copresenter of the Pet Professional Guild World Service radio show; faculty member of DogNostics Career College; steering committee member of Doggone Safe and regional coordinator of Doggone Safe in Spain, where she is based. Stapleton-Frappell believes that everyone should know how to teach their dog using science based, rewards based, force-free training methods and that all learning should be fun. She is the creator of TrickMeister, a comprehensive online force-free training program from DogNostics Career College, aimed at increasing the knowledge.